Cattleyas orchids are a favorite theme as they are so beautiful, and as flowers, the blooms may last for weeks. Well worth the wait. 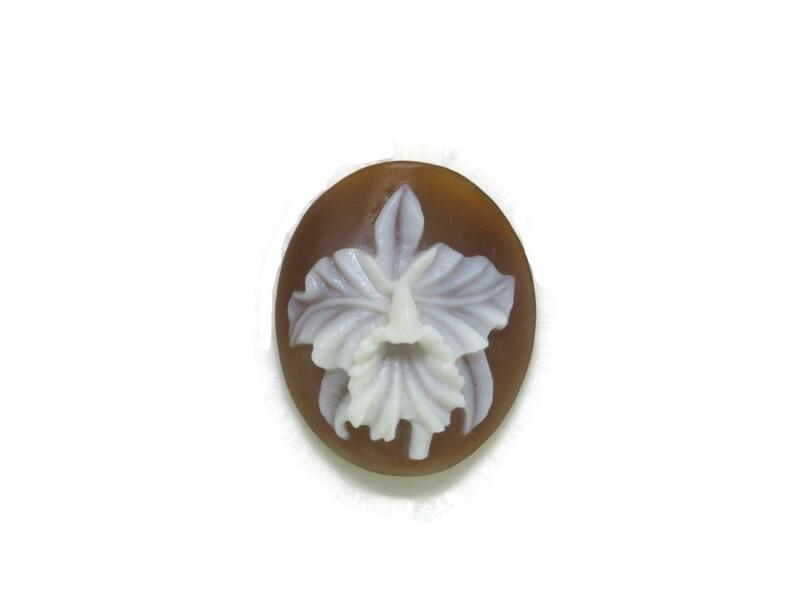 This Cattleya laeliinae orchid cameo is a 20mm oval, registry number #1935. Eco-Friendly, Fair Trade. Sold with a Certificate of Authenticity.